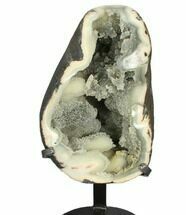 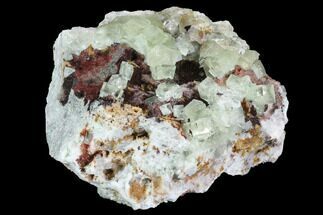 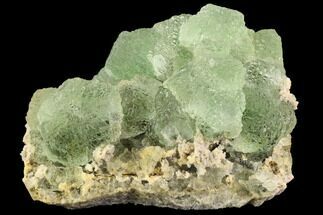 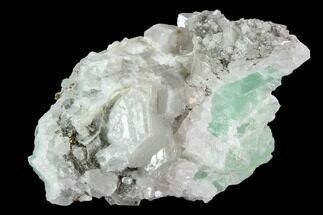 This large specimen contains large calcite crystals coating transparent quartz crystals. 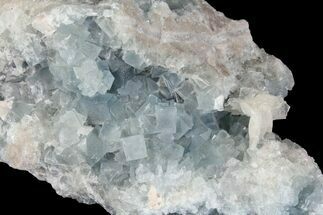 The quartz can best be viewed when looking at what could be considered the sides and the bottom of the specimen. 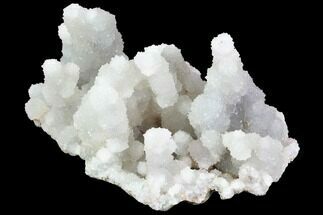 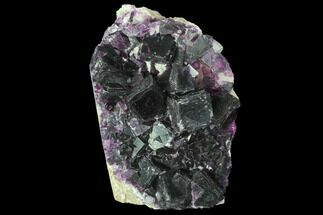 Small quartz crystals can be found all along the bottom in a variety of sizes. 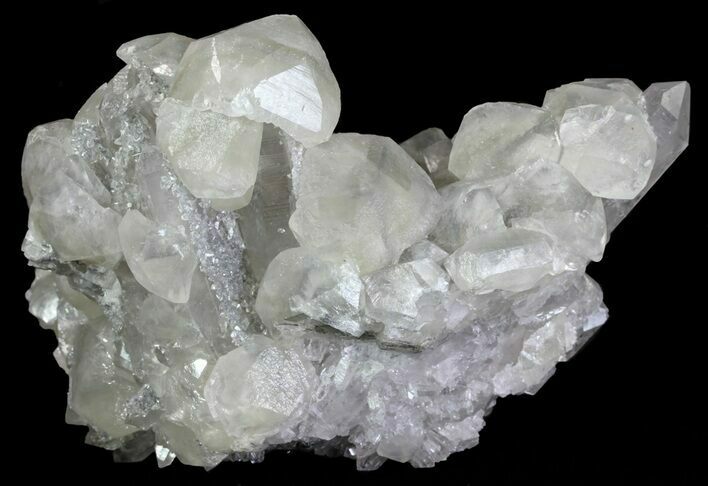 The largest quartz that can be seen is 2.7" long and nearly flawless. 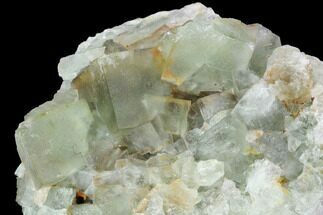 Under short and long-wave UV lighting, the calcite fluoresces pink-orange.